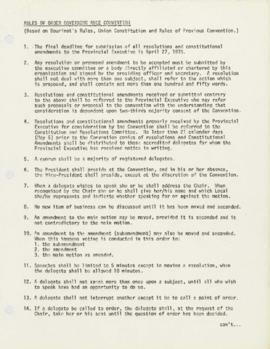 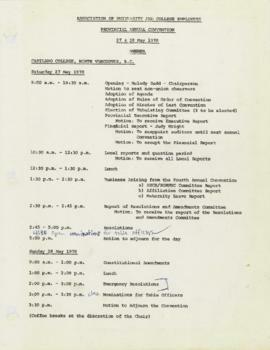 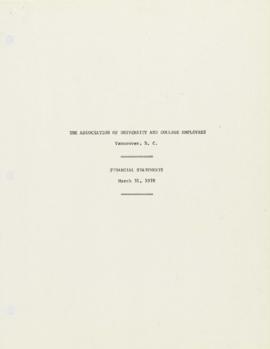 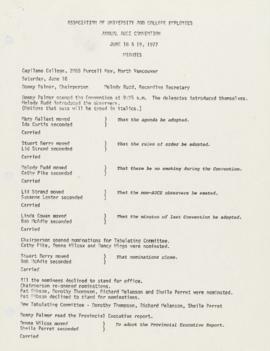 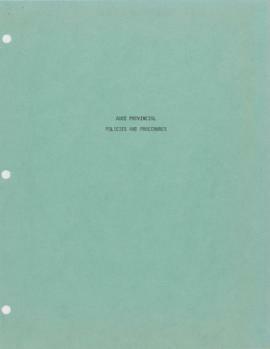 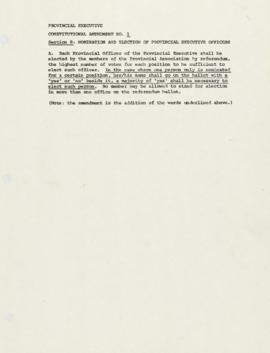 File contains convention materials dated May 27-28, 1978 to June 18-19, 1977. 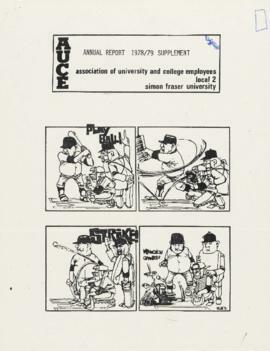 Topics discussed include executive reports, Local reports, strikes, bargaining, arbitration, affiliation, referenda, communications, committees, interactions with other unions (SORWUC), resolutions and amendments, staffing and wages, job descriptions, and revenue and finances. 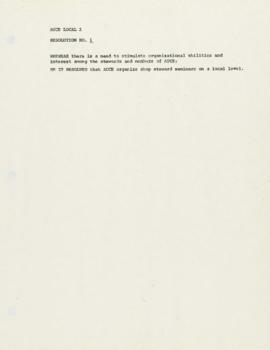 File also contains a small handwritten note, a convention agenda dated May 27-28, 1978, rules of order, financial statements dated March 31, 1978, resolutions and amendments, policies and procedures, convention meeting minutes dated June 18-19, 1977, and an annual report supplement from Local 2 (SFU) dated 1978/79 discussing strikes, maternity benefits, and communications.